UPDATE (December 9 2018) — Yahoo News has posted an interesting piece of information. Before Trump wanted William Barr as his new attorney general, he wanted him for another job: his own Defense lawyer. “In late spring 2017, President Trump was having a hard time finding a top-flight lawyer to spearhead his defense in the sprawling Russian investigation conducted by the new special counsel Robert Mueller. Some of the most prominent litigators in Washington had turned aside overtures to represent the president in the case, expressing concerns that he would not listen to their advice anyway. Around that time, sources tell Yahoo News, White House officials reached out to a man they thought would be an ideal candidate: William P. Barr, the attorney general under President George H.W. Bush. An outspoken conservative, Barr had gotten on Trump’s radar screen that spring after he had written a newspaper op-ed vigorously defending the president’s decision to fire FBI Director James Comey. Another wildcard in the mix is Barr’s past relationship with Mueller. When Barr was attorney general, Mueller was a key member of his team, serving as an assistant attorney general in charge of the criminal division. 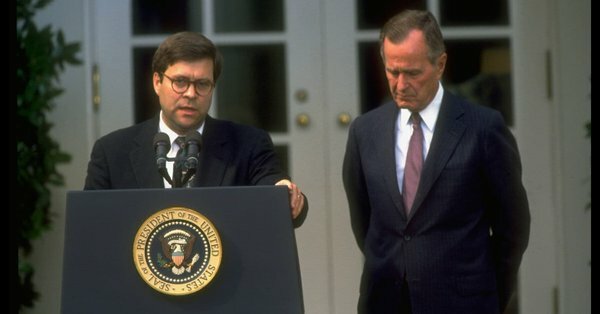 William Barr served as AG from 1991 to 1993 under President George H.W. Bush. Barr directed the infamous investigation of the Pan Am Lockerbie bombing. And, of course, Barr was a former CIA employee (from 1973 to 1977). If nominated, Barr would take over the Mueller Russia investigation for acting Attorney General Matthew Whitaker, who has been in the position since Sessions’ ouster on November 7. Barr was noted as “an outstanding choice” by Senator Lindsey Graham (R-SC), who is likely to lead the Judiciary Committee next year where he would oversee Barr’s confirmation. “I think he could get confirmed very easily,” Graham added. Senator John Cornyn of Texas – the #2 Republican in the Senate, agreed. Let me make one thing very clear. William Barr is a total disgrace to the US Justice system. He knew full well that Libya had nothing to do with the Lockerbie tragedy. Some people believe that I wasted too much time on the Lockerbie scandal. They are wrong. And this is a case in point. There is no doubt in my mind that PT/35(b) is a forgery that was planted among the debris of Pan Am 103 to implicate Libya and to steer the investigation away from the original suspects. 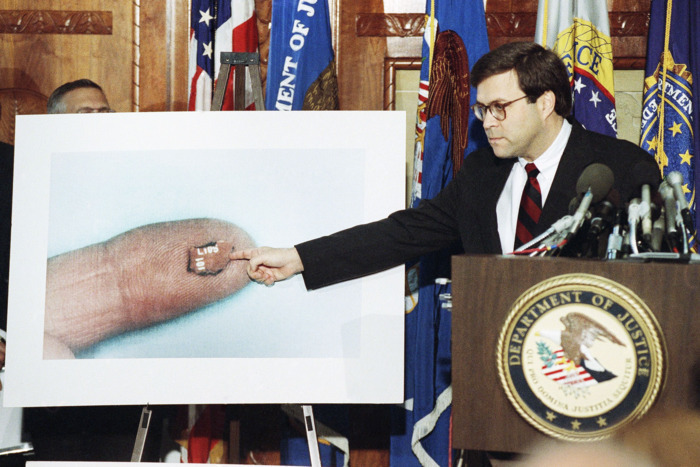 Perhaps, Barr could explain how the white Toshiba radio — alleged to have contained the bomb that destroy PA 103 — became a black one? And William Barr knew that when he read the indictment against two Libyan citizens on November 14 1991. Why would the US president pick such a person for this top job? This entry was posted in Lockerbie, William Barr and tagged LOCKERBIE 30th Anniversary, William Barr. Bookmark the permalink.